Saltwater House isn’t just a Bed & Breakfast. 5 star Boutique Bed and Breakfast. Saltwater House is a luxury award wining 5 star Boutique Bed and Breakfast with stunning panoramic views over Portstewart Strand and the Atlantic Ocean. This stylish beach house sits just above the bay and miles of sandy beach, coastal walkways and world class golf courses. Best B&B and Best B&B Breakfast in Ireland, 2016 from Georgina Campbell’s Ireland-Guide. Best in Ireland for 2018 from John and Sally McKenna. Recently renovated and lovingly restored the accommodation comprises of four professionally designed stylish guest rooms decorated in a New England colonial coastal style with pale tones, wooden shutters, painted furniture and nautical accessories. 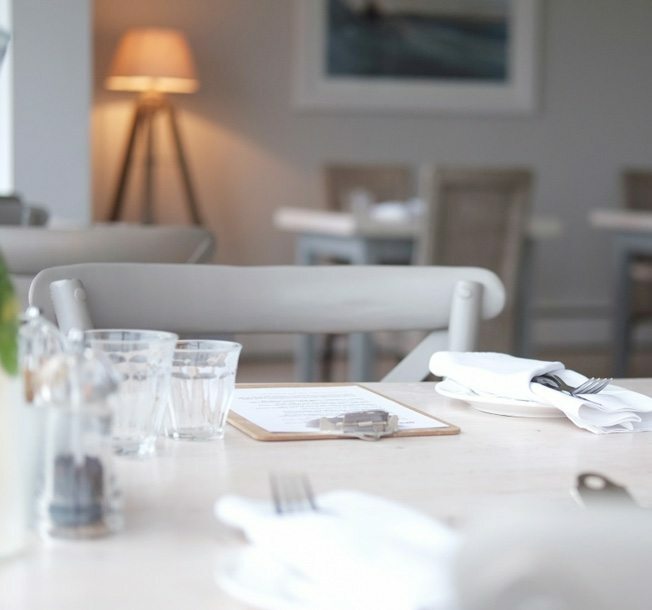 Saltwater House is not just a Boutique Bed and Breakfast but also a Coastal Health Retreat providing exclusive bespoke packages on wellbeing and nutritional therapy. The professional wellness team use seasonal local supplies and an expert knowledge nutrition and food preperation to create delicious, balanced, super-healthy breakfasts with options to suit every dietary requirement. Saltwater House advocates holistic health and offers a unique opportunity to rest, relax and restore in beautiful, peaceful , coastal surroundings as a well deserved opportunity to escape from the stresses of modern day living.